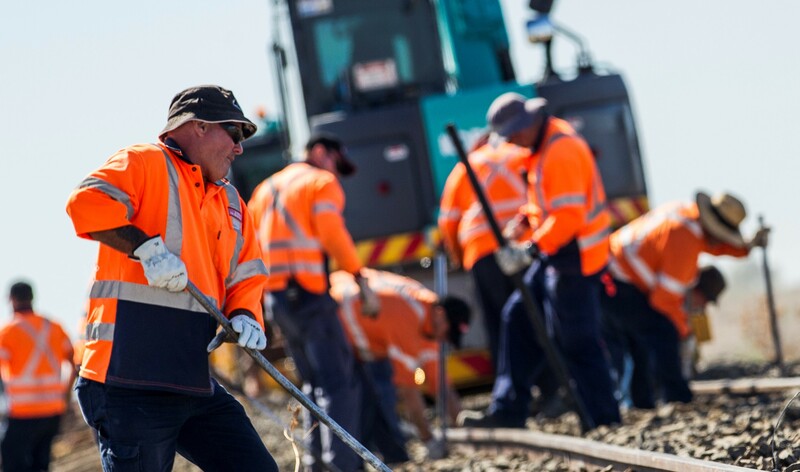 Provides participants with the knowledge, training and skills to effectively work safely in and around the rail corridor. Previously known as the Rail Industry Safety Induction (RISI). Online e-Learning course. $179.00pp. Start Now! 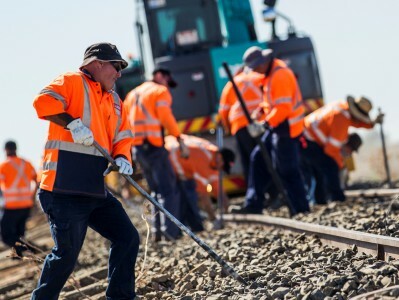 Previously known as the Rail Industry Safety Induction (RISI), this nationally recognised course will provide participants with the knowledge, training and skills to effectively work safely in and around the rail corridor. The training will detail how to take appropriate safety precautions to access the danger zone, access the rail corridor and how to respond appropriately in an emergency. 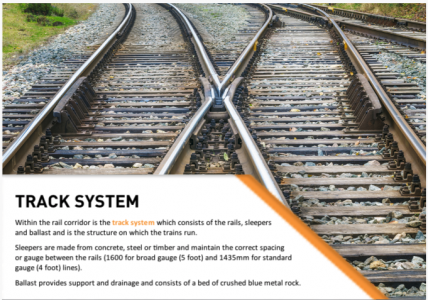 This course is for people who are going to be working in and around the rail corridor. How does this course relate to the RIW Card? 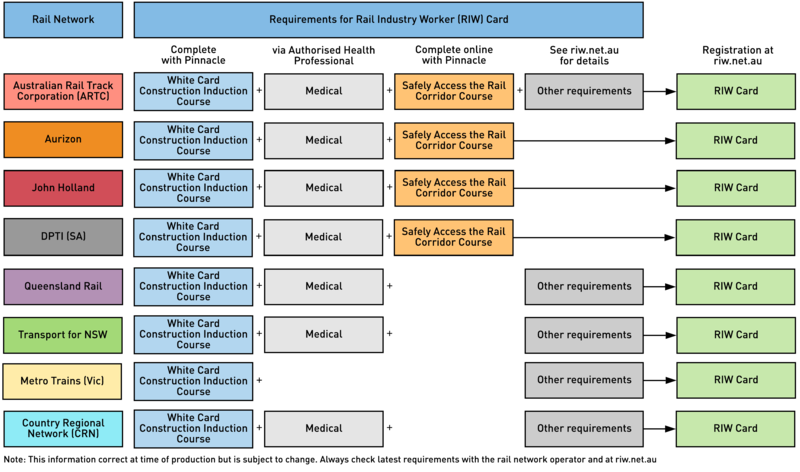 The Rail Industry Worker (RIW) Card is issued to rail workers who hold a nominated list of competencies, which vary based on the rail network operator. 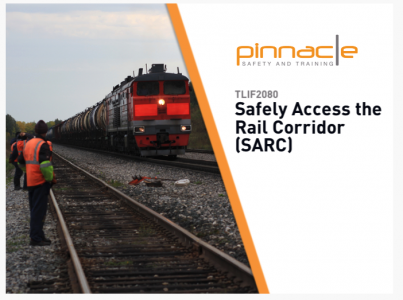 This course (Safely Access the Rail Corridor) is a mandatory requirement for workers wishing to obtain a RIW Card for several rail network providers. We always recommend that when planning your proposed training, you speak to your proposed employer about their current training requirements. If you do not hold a White Card - Construction Induction, you can do this online with Pinnacle - click here. Our online course was built from the ground up by industry experts. It is designed to be easy to use, easy to understand and works on multiple devices and platforms. Our course is heavily audio-based and participants will learn directly from an industry expert, just as if they were in a classroom. I found the course was clear and easy to follow. I come from a strong rail background and needed to undergo this course for the first time for employment purposes. Overall the course was well presented and structured. I would recommend to others wanting to do the course.